Which Water Test Is Right For Me? Is there something funny going on with your water? Changes in taste, color and odor? We summarize the most common home water problems, their likely causes and what you can do. What’s the Function of Functional Water? With something so pure and simple as water, you’d think that when it came to hydration options that the choice should be clear. But leave it to the ever-growing consumer market to unleash a deluge of new drinking water trends. The already oversaturated bottled water market has led manufacturers to focus on setting their product apart. How are brands doing this with something as basic as water? The answer: Functionality. Plain, old H2O is now having to stand up against hip, trendy options like protein water, alkaline water, and even caffeinated water. As consumers angle away from sugary, calorie-dense sodas, functional waters are gaining more and more space on store shelves. Many of these brands are touting an array of health benefits–ranging from preventing cancer to reducing anxiety. Reports suggest that the functional water market is set to double by 2020. We’ve done some digging into the most talked about functional water trends and are here to report what we’ve learned. What Exactly is Functional Water? Functional water is “enhanced” drinking water aspiring to improve your health. Some are chemically altered (i.e. by adding increased oxygen or hydrogen); some are simply infused with oils, extract, or flavors. While bottled water has long been criticized for contributing to environmental waste, the convenience and potential added perks of functional water has kept the industry not only afloat, but booming. The rage around alkaline water surrounds its pH (potential hydrogen). A measure of the relative amount of free hydrogen and hydroxyl ions in the water, pH is a logarithmic scale ranging from 0 to 14. Each step of the scale corresponds to a ten-fold change in acidity–liquids closer to 0 are very acidic, and those nearer 14 are very alkaline. Pure water has a pH of 7.0 (and is considered “neutral”). Alkaline water generally has a pH between 7 and 9.5–and with that higher pH, it also has a higher concentration of alkalizing compounds (such as sodium, potassium, magnesium, and calcium). Cancerous cells can’t survive in a highly alkaline environment. This is true. Additionally, areas in close proximity to the cancer cells turn acidic–also correct. Therefore, it follows that if you increase your body’s overall alkalinity, you can kill/prevent cancer cells from growing. While that logic above appears to (almost) add up, there is one key issue with this claim: while cancer cells can’t live in highly alkaline environments, neither can any of your other cells. So even if alkaline water were able to shift your body’s acid-alkaline balance (which it can’t, by the way), it wouldn’t be good news for any cells in your body (forget just the cancerous cells). Your body works hard to maintain a safe pH environment of around 7.4–pretty much no matter what. The scientific community has yet to rally behind the miracle properties of alkaline water. What is known is that if you do drink lots of the alkaline liquid, most of what happens is that you excrete alkaline urine. There’s a lot of confusion surrounding this particular functional water fad–as it is often confused as alkaline water, or even as water molecules with “extra” hydrogens. It’s neither of these things. Simply put, hydrogen-rich water is just infused with molecular hydrogen by dissolving H2 gas dissolved in the water. The hype surrounding hydrogen-rich water is predicated on the fact that hydrogen shows antioxidant activity that results in lower “oxidative stress” which is associated with negative health outcomes. Proponents claim that hydrogen-rich water protects against free radicals, which can damage cells and lead to disease. Hydrogen-infused water is generally recognized as safe (GRAS Certified) by the FDA and continues to receive accolades and testimonials from folks who attest to the natural benefits of consumption. Scientists are continuing their research into the potential benefits surrounding hydrogen-rich water. The bottom line is is that the jury is still out on this one. Stay tuned. The electrolyte water craze extends beyond dumping Gatorade on coaches at the end of a football game. In fact, the electrolyte-enhanced water market is one of the fastest growing sectors in the functional water world. It is estimated to generate revenues of over $8 billion by 2023–growing at a rate for 10% between 2018 and 2023. Electrolytes are minerals in your body with an electric charge. Electrolyte-enhanced water is often infused with potassium and sodium, which can help your body absorb the water more quickly. Useful after periods of fluid loss (intense exercise, bouts of vomiting, diarrhea etc. ), electrolyte-enhanced water can help prevent and treat mild to moderate dehydration. It can also help prevent muscle cramping. While sports drinks do not necessarily contain enough electrolytes to be an adequate resolve for dehydration, after bouts of fluid loss they can be beneficial. However, if you spend your days sedentary, drinking water with electrolytes won’t help you achieve better hydration (than drinking regular water). We also recommend you always take a look at the sugar content on the label–as many enhance waters have additional (and unnecessary) sugar. In sum, after sports or being sick, grab electrolyte water, but don’t rely on it for regular hydration–or you’ll just be consuming unneeded sugar and using environmentally harmful plastic. If you’ve ever had an early Monday morning, you won’t be surprised to know that caffeine is the most popular mood-altering drug in the world. We usually get it from coffee, tea, or colas–but now we have the option to get in from our water. Unlike the confusion often surrounding alkaline and hydrogen-rich water, caffeinated water is pretty straightforward. It’s water mixed with caffeine–to create a tasteless beverage with a jolt. Depending on the brand, caffeinated water contains anywhere from 45 milligrams to 125 milligrams per bottle. To put that in perspective, the typical cup of coffee has about 95 milligrams of caffeine. We’ll address the “calorie-free” part first. Yes, that’s true that caffeinated waters (the ones without added sugar) are calorie-free. But if you typically get your caffeine from coffee or teas–which clock in at 1 and 2 calories per serving, respectively–this isn’t the most compelling reason to switch. While it’s not wrong, we’re much bigger proponents of drinking something out of a nice chemical-free glass or ceramic mug, than a potentially BPA-laden plastic container. Moving on to the issue of dehydration. Caffeine–no matter the medium it comes in–is a diuretic. So, if that’s your concern-–it doesn’t totally check out. What’s more is that even if you get your caffeine intake from coffee, you are still consuming water (remember coffee is coffee plus water). Finally, despite increasing your need to urinate, drinking coffee isn’t actually dehydrating. So, that tick mark that caffeinated water fans put in the victory column is not quite as powerful as they may have you believe. From cucumber water at spas to asparagus water at Whole Foods (yes, that’s real….and expensive), infused waters can be a great option to add taste without calories. While we aren’t entirely certain why anyone is looking to drink asparagus flavored water, infusing water with citrus fruit or herbs can be a nice twist on the old classic. The biggest benefit is that you’re likely to drink more water throughout the day. You may also get some small plant-based health perks–like water infused with lemon can add some antioxidants to the mix. The greatest thing about infused water is that you can make them at home. No need to buy expensive water that’s packaged in plastic bottles in a store–which brings us back to our old friend…tap water. How Does Tap Water Compare? In general (and there are exceptions), these fancy, fad, functional waters won’t harm you. If you are buying them pre-packaged in plastic however, there is the guarantee of an environmental impact. Until more concrete evidence emerges, we recommend you keep to your (tested) tap water–as it will cost your wallet and the environment far less. For any more questions about drinking water (bottled or tap) send us a message at hello@simplewater.us. 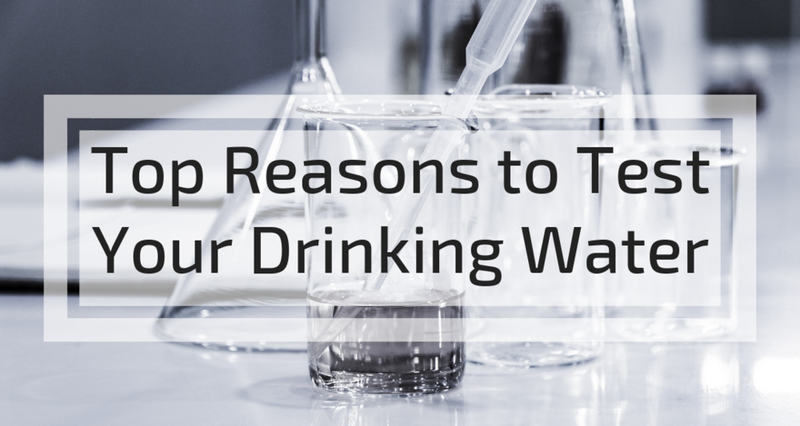 There's no doubt that you've heard about heavy metals in drinking water. Even if you don’t watch the news or read the paper, you’ve probably heard folks talking about it. While lead came to the forefront of national consciousness following the onset of the Flint, Michigan drinking water crisis, several other major metals can (and do) find their way into your tap water. Many of these naturally occurring contaminants are insidious threats that cannot be smelled, tasted, or seen. However, they can bioaccumulate–leading to detrimental health impacts, especially for the brain and nervous system. Even if you are confident that your water is not affected by heavy metal contamination, we have created a short, but crucial list, of the seven heavy metals that should be on your radar. What is manganese and how does it get into drinking water? Manganese is a naturally occurring metal used in steel and corrosion-resistant aluminum alloys. It's also an additive in unleaded gasoline, pigment, plumbing materials, battery cells, matches, fireworks, fertilizer, a reagent in organic chemistry, an oxidizing agent, and a component of tobacco smoke. How much manganese is safe in drinking water? The U.S. EPA recommends maintaining a manganese concentration at or below 50 parts per billion (PPB) in drinking water. Why do we care about manganese in drinking water? While manganese is an essential nutrient and is required by the human body in small amounts, exposure to high concentrations of manganese over many years has been associated with toxicityto the nervous system. You may notice a metallic taste, brownish-red color (that can stain clothing or appliances), or black slime if your water contains manganese at concentrations over 50 parts per billion (PPB). What is lead and how does it get into drinking water? Lead is a bluish-silver, naturally occurring metal that is fairly soft, highly malleable, and very resistant to corrosion. It is toxic to humans, animals, and most other lifeforms. It can enter your tap water three ways: 1) when household plumbing systems corrode, 2) when natural deposits erode into your water source, and 3) when industrial activity leaks lead into your water source. While the EPA enforces a 15 PPB limit on lead in drinking water, no amount of lead is considered safe according to health research and the maximum contaminant level goal is zero. Why do we care about lead in drinking water? Even low levels of lead exposure can be dangerous. It accumulates in your body and has several toxic effects on your brain, liver, kidney, and bones. Children are especially vulnerable to developmental damage from lead poisoning. You cannot see, taste, or smell lead in your drinking water, but the age of your home can be a clue to your risk level. If you live in a house built prior to 1986, laboratory testing is a wise investment. It is also important to note that lead is legal in many fixtures and pipes. While permitted lead concentrations are lower than they were pre-1986, differences in water quality could lead to leaching. What is arsenic and how does it get into drinking water? Arsenic is a common element in the earth's crust and unfortunately, it’s quite toxic to humans. Natural erosion of arsenic from soil and rocks is the most common pathway for arsenic to get into your tap water. It is also present in agricultural runoff from orchards and waste streams from metals and electronics industry activities. How much arsenic is safe in drinking water? The EPA recommends an MCL (Maximum Contaminant Level) for arsenic of no more than 10 PPB. However, the MCL recommendation remains arguably insufficient. A recent study demonstrated that arsenic levels well below the MCL have adverse health impacts–as children drinking well water with levels as low as 5 PPB had significant reductions in IQ and perceptual reasoning relative to children exposed to fewer than 5 PPB of lead. Why do we care about arsenic in drinking water? Short term effects of arsenic exposure include skin discoloration, stomach pain, nausea, vomiting and diarrhea. Long term effects include heart, lung, liver, immune, nervous system and reproductive disorders, diabetes and cancer of the bladder, lungs, skin, kidney, liver and prostate. There are no obvious signs of arsenic contamination. However, a Natural Resources Defense Council (NRDC) study reported that nearly 77 million Americans receive drinking water from systems that violate federal regulations for arsenic (> 10 PPB). They also noted that western states tend to have a higher incidence and elevated average levels of arsenic in their water systems. Additionally, it is estimated that 43 million Americans use private wells as their drinking water source. While community water systems are mandated to test for the toxic metalloid, routine testing for private wells does not usually include assessing arsenic levels. Cast into the spotlight by Erin Brockovich and the largest class action lawsuit to date, chromium occurs in both natural deposits, as well as in manufacturing processes such as electroplating and pigment factories. It can enter groundwater through erosion, mining waste, and industrial waste. The most common forms of chromium that occur in natural waters in the environment are: trivalent chromium (CrIII) and hexavalent chromium (CrVI)–the former of which is an essential nutrient, and that latter is a potent human carcinogen. How much chromium is safe in drinking water? While we are most concerned with hexavalent chromium due to its carcinogenic potential, there is no federal or state MCL specific to the hexavalent chromium. In stead, the national drinking water standard is set for “Total Chromium.” Both hexavalent and trivalent chromium are covered under the same drinking water standard because chromium may convert between CrIII and CrVI states in water and the human body depending on the environmental conditions. The EPA currently limits total chromium at 100 PPB. However, at the time when the Total Chromium Maximum Contaminant Level was established (1991), hexavalent chromium associated with consumption of drinking water was not considered to pose a cancer risk. A 2008 study by National Institutes of Health, however has led to new goals and recommendations. While the federal MCL remains at 100 PPB for Total Chromium, scientists at the California Office of Environmental Health Hazard Assessment recommended a public health goal of 0.02 PPB of hexavalent chromium in drinking water. Why do we care about chromium in drinking water? While there are many industrial uses for hexavalent chromium, human inhalation or ingestion of the chemical is known to cause cancer. It affects the human liver and kidney and is known to cause circulatory disorders and nerve damage. Like many metals in drinking water, chromium cannot be seen, tasted or smell–so knowing if it’s in your drinking water is challenging if you haven’t tested it. But if Erin Brockovich is in your local newspaper–it’s definitely time to raise your concern level. Specifically concerned about testing for hexavalent chromium? Take a look at the Hexavalent Chromium Water Test. What is copper and how does it get into drinking water? Copper seldom occurs naturally in the water supply, but is one of the most commonly detected heavy metals in tap water. Corrosion of pipes, faucets and other plumbing fixtures is the most common source of copper in American homes. Changes in water chemistry can dissolve these metals from old pipes and deposit them in your drinking water. Running your water for a minute before drinking can reduce copper buildup at your tap. How much copper is safe in drinking water? Small amounts of copper are necessary to our health and the EPA has set a (non-enforceable) health goal of 1.3 PPM. Why do we care about copper in drinking water? Copper is an essential element for your health. However, too much of it especially among young children can cause vomiting, diarrhea and stomach cramps. Copper has also been associated with liver and kidney disease. What is nickel and how does it get into drinking water? Nickel is a naturally occurring element and is most often exposed to drinking water during mining and smelting activities. How much nickel is safe in drinking water? Currently, there are no EPA enforced limits on nickel levels in drinking water. Nickel was regulated from 1992 until 1995 with a level set at 100 PPB. However, the EPA removed the limits when the Nickel Development Institute challenged the methodology used to establish the Maximum Contaminant Level in a petition to the U.S. Court of Appeals. Why do we care about nickel in drinking water? Nickel can be a potent human carcinogen at high doses, in lower doses it can lead to decreased lung function and allergic reaction. About 10-20% of the U.S. population is sensitive to nickel. What is aluminum and how does it get in drinking water? Aluminum can come into contact with drinking water sources from natural formations underground or after use, as a water treatment coagulant and additive. It may also be released by metal refineries and mining operations. How much aluminum is safe in drinking water? The federal Secondary Maximum Contaminant Level (SMCL) for aluminum is set between 50 to 200 PPB– which means at or above these levels certain aesthetic effects (such coloration of water) can occur. Why do we care about aluminum in drinking water? While elevated levels of aluminum may result in colored water, concentrations of aluminum may be high without present any aesthetic effects. Now that you’re up to speed on what metals may be meddling with your water quality, we’ve got some good news for you! Tap Score offers a water test designed explicitly for testing these (and other) important U.S. water contaminants that pose potential health risks. Learn more here, if you’re interested in investigating your own water. We recommend that households test their water at least once every 3 to 5 years, especially if you have an old home or an old piping system. Our team of chemists, water quality experts, and engineers are here to help if you have questions. We’re always standing by–just send us a message at hello@simplewater.us! What’s the Black Gunk on My Fixtures?! Sludge...slime...gunk–whatever you call it, you probably don’t want it near your drinking water. It’s sticky, it often smells, and it can leave you puzzled. On Tips for Taps, we’ve already addressed common causes of white residue on fixtures, but now it’s time to come over to the dark side…welcome to the world of black residue. What are the health effects of black residue? How you can get rid of the black gunk? What Exactly is the Black Slime on Your Faucet?! Before we get into the exact cause of the gross gunk, let’s take a step back and look at what flows from the tap. Along with H2O, tap water often contains dissolved minerals. Two of these minerals are iron and manganese. Iron and manganese are both naturally occurring, non-hazardous elements found throughout the earth’s crust. As water travels through soil and rock, it can dissolve minerals containing these elements and holds them in solution. Most drinking water contains traces of dissolved iron and manganese. While they don’t produce a health risk, elevated iron and manganese concentrations can be a nuisance in water supplies–producing an unpleasant taste and off-putting odor. Iron and manganese in drinking water are not known to have any health impacts. Because they are chemically similar, manganese and iron often create similar aesthetic problems–which includes black film, gunk, or sludge. The sticky, slimy, stinky residue can make itself at home nearly anywhere water flows in your home. Whether it accumulates in the faucet aerator, around the tub drain, inside the toilet tank, or even inside your tea kettle–black slime is usually due to bacteria that feeds on oxidized iron and manganese in your water supply. Is Black Slime on Fixtures Dangerous for Your Health? There are no federal primary drinking water standards set for either manganese or iron because their presence in drinking water is not associated with health effects, however there are regulations regarding secondary standards for both. These standards are set to fight nuisance problems (e.g. black slime) and aesthetic issues (i.e. taste, odor, color). The U.S. EPA recommends maintaining a manganese concentration at or below 0.05 parts per million (ppm) in drinking water. Neither manganese nor manganese-related bacteria are considered dangerous at the levels that typically occur in drinking water. Manganese exposure from water and food (our largest source of exposure) are not known to have a negative health effect. In fact, manganese is an essential nutrient and is required by the human body in small amounts. Similarly, manganese bacteria is categorized as non-pathogenic. Some evidence does suggest that if manganese is inhaled in high concentrations over time, it can lead to neurological issues–but this is rare and not caused by drinking water. Like manganese, iron (and related bacteria) are not dangerous to human health. Drinking water standards for iron are set based on potential nuisance and/or aesthetic issues. The EPA recommends a secondary maximum contaminant level (secondary MCL) of iron in tap water at 0.3 ppm. While iron-related bacteria often produce reddish-brown slime, when they react with naturally occurring tannins (organic matter from vegetation) it frequently forms black, sludgy residue. This is why many people spot black slime inside their tea pots–as tea contains a high concentration of tannins. Although black slime may have a few other causes (i.e. oxidizing pipes or dissolving rubber seals in your water heater), iron- and manganese-related bacteria are the common culprits (especially in homes supplied by a private well). Subsequently, if you want to know how much manganese or iron are in your tap water, you must test. Once you’ve confidently identified the presence of iron- or manganese-related bacteria, it’s time to solve the problem once and for all. Unfortunately, online research often points you toward temporary treatment measures, rather than lasting fixes. The temporary “fixes,” such as replacing pipes and regularly cleaning the affected area, will cost you time and money–but will not solve the problem. Because the root of the problem stems from the water supply itself, you must focus your attention there (i.e. the cause) rather than the slime (i.e the effect). Shock chlorination might be the answer. Take a look at our comprehensive, step-by-step guide to shock chlorination here. Just remember: It is nearly impossible to kill all of the iron- and manganese-related bacteria in your well water system. The bacteria will eventually re-grow, so you may want to repeat the treatment from time to time. Feel free to reach out at hello@simplewater.usif you have any questions about the shock chlorination process! There you have it. The black sludge at the bottom of your drain is no longer a mystery. While certainly alarming to find, it shouldn’t leave you scared. It’s not as spooky as it seems–just a little stinky and slimy. If you have black slime on your fixtures and want to test your water, send us a message (hello@simplewater.us) and our team of chemists, engineers, and water treatment experts can point you in the right direction! In modern agriculture, almost everything is grown with the help of pesticides. When these chemicals are sprayed on nearly everything we eat, we must ask: can they harm us? Rachel Carson's book Silent Spring put the toxic and damaging effects of Dichloro-diphenyltrichloroethane (DDT) on the map in 1962, inciting a global conversation about the environmental and public health dangers of widespread pesticide use. The word “pesticides” refers to chemicals used to kill or deter pests. Different pesticides are used on different pests: herbicides for weeds and insecticides for insects, for example. Though some older, harmful pesticides (like DDT) are now banned, over 1,000 pesticides are still used globally, each with its own properties and human health effects. So they kill weeds and pests, but what about humans? We help break down how pesticides can get in water and what their impacts could be on your health. How Do Pesticides Get Into the Water Supply? One of the primary ways that pesticides work their way into the water supply is by seeping through the soil to the groundwater. Around 50 percent of people in the US — and about 95 percent of those living in agricultural areas — rely on groundwater for drinking water. Pesticides are most widely used in agricultural areas, so concentrations of pesticides are usually higher in those regions. Once in the environment, however, pesticides can easily spread, ending up in water through many paths: precipitation, leaching, runoff, and wind, for example. This process can take years for chemicals to work their way through soil to the groundwater, creating a time lag between pesticide use and appearance in deeper water reserves. Once there, chemicals can stay in groundwater for decades, even if efforts are made to reduce pesticide use above ground. Protecting crops and increasing yields has been a goal for decades now. Chemicals have been used to achieve that goal for as long, but the kinds of chemical used have changed. Before the 1940s, compounds that included arsenic, mercury, or lead were common. Though these chemicals pose serious threats to human health, they are not very soluble, so they turned up in food more often than in water. After World War II, pesticides shifted towards synthetic organic compounds, which were thought to be safer. These compounds, including chlorinated hydrocarbons such as DDT, are more attractedto soil than water, and so they tend to accumulate in soil and food chains as opposed to water. When the toxic health effects of these chlorinated hydrocarbons were discovered, an effort began to replace them with safer, less toxic chemicals. One group of these new pesticides are called carbamates, and they are highly soluble in water. Thus, while pesticides may be trending safer, they may also appear more frequently in our water sources. Long-term studies are still underway to figure out what the health effects are, but in the meantime, scientists are finding carbamates and their transformation products in our drinking water. Environmental Protection Agency (or EPA) has health standards for pesticides before being released into the environment, but environmental groups have repeatedly identified chemicals (e.g. chlorpyrifos) that pass EPA’s requirements mark but are later found to be toxic. What Are the Risks to Human Health? The effects of pesticides on the human body are as varied as the chemicals themselves. Organophosphates and carbamates, for example, affect the nervous system, while others irritate the eyes or skin. They can be carcinogenic or disrupt the body’s endocrine system. Scientists are studying both the acute and chronic effects of ingesting pesticides. Pesticides are being detected at low concentrations, and as such, acute toxic effects (like nausea or chemical burns) are of less concern for most people. Farmworkers and landscapers directly applying herbicides and pesticides are likely most at risk (consider the evolving case of glyphosate). Many are concerned, though, that these chemicals can accumulate over time, leading to greater health effects. Are Pesticides in My Drinking Water? Only small quantities of pesticides have shown up in treated drinking water. There are two directions of research, however, that promise to illuminate more about how pesticides impact drinking water: 1) cumulative exposures and 2) transformation products. So far we have been writing about one chemical at a time. In reality, there are multiple herbicides and insecticides present in the environment. Health impacts of cumulative exposure to these compounds are not well understood, which means that our general assessments of risk are likely under-estimating the potential health impacts of pesticide exposures. As we noted above, scientists have found the transformation products of pesticides in drinking water. A pesticide transformation product is a new chemical formed when the “parent” compound (e.g. DDT) reacts under different conditions – e.g. sunlight or bacteria in the environment or UV treatment in a water treatment facility. Sometimes, these transformation products are even moretoxic than the parent compound. Until engineers and scientists identify the multiple transformation products formed when chemicals enter our treatment systems, we can’t be sure that we are adequately treating our water. Check out our water testing packages to make an informed decision about your drinking water or get in touch with us here for more information!